How Are Your Resolutions Working Out? We are two weeks into the new year, and Tampo Canada is kicking things into high gear after the holiday break. The decorations have all been packed away, the last of the leftovers have long been finished off, and it’s time to take stock of all that 2014 was, and think ahead to what 2015 can be. If you’re one of the millions who uses the new year to make resolutions for personal or professional growth (and some studies suggest that as many as 50% of us do usually make resolutions), you might be thinking of the things you’ve resolved to change now as you read this post. What promises made your list for 2015? Drinking more water? Getting more exercise? Finding a balance between work and home? Yeah. Us too. But what you may not realize is that we here at Tampo Canada have a part to play in helping you realize those and many other personal goals or resolutions. Did you hit the treadmill today? Used a mobile device or other fitness monitor? You may have had an encounter with more of our products because Tampo is a well-established partner in the sector of electrical goods. Our high-quality automations and standard machines are marking and printing countless housing parts and panels of any kind, every single day. And as you explore your options for achieving that elusive work-life balance, don’t forget that Tampo Canada is pleased to offer you and your business personalized service that can help you optimize your existing output, add new items to your production lineup, and ensure that your equipment is running in tip-top shape. 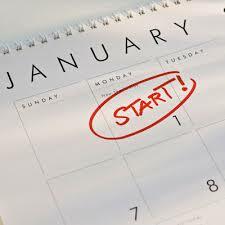 Please contact our team today to discuss your needs, and let us help you achieve at least one of your new year’s resolutions.